Water and electricity do not mix … but the lighting, filtration and temperature control of your Pool and Spa are absolutely necessary! Penny Electric has been trusted to install and maintain the electrical function of in and above-ground pools and spas by dozens of pool builders in the Las Vegas and Henderson areas for almost a decade. With hundreds of local installations in and around the Las Vegas area, pool and spa electrical services provided by Penny Electric will ensure the safest and most reliable operation possible in our hot and arid local climate. To keep your pool’s water clean in the wind and dust of Southern NV, your filter pump needs adequate power to function at maximum efficiency. When it comes to having an enjoyable swim or a relaxing soak, a professionally wired electric water heater and thermostat will keep the water at a comfortable temperature. And for jets and bubbles, safe and dependable power is required to run your spa’s air pump to give you the therapeutic benefits of having a hot tub at your home. Proper electrical function is also very important for maintaining safe Ph levels if chlorine and other treatment chemicals are circulated to disinfect the water. Or in the case of a saltwater pool; the water’s filtration, circulation, and stable temperature are critical in maintaining an appropriate salinity level to control algae growth and inhibit dangerous bacteria. Proper power supply and electrical components not only ensure peak efficiency of all of the above, but guarantee reliability and reduce overall power consumption by minimizing run times. Swimming pools and hot tubs require professional installation of a dedicated sub panel with ground fault circuit interrupter (GFCI) protection to safely provide power in a potentially wet environment. Following National Electrical Code (NEC) Article 680 ordinances, our electricians will determine the best type of installation based on the voltage and load requirements of the pool / spa’s electrical components, the type of foundation your home has, and the proximity to the master breaker panel. 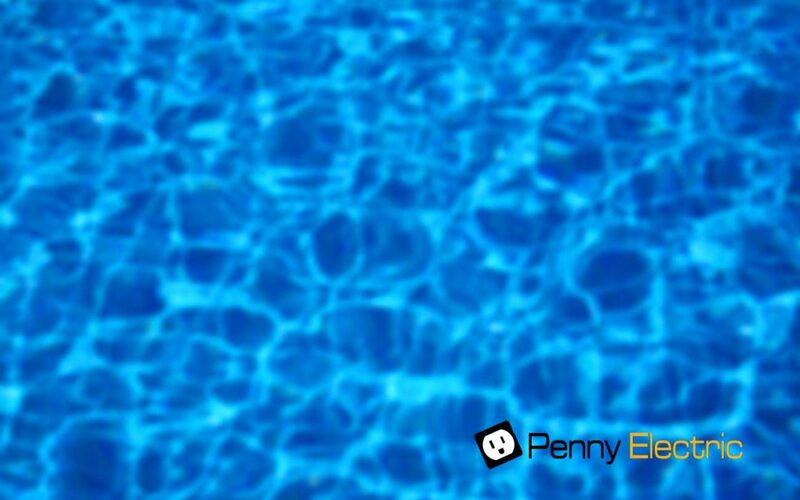 Penny Electric is an expert in pool and spa electrical and our highly trained technicians will always ensure that the proper materials and procedures are used to ensure the safe and continued operation of your pool or spa. Penny Electric has earned the trust of several local pool and spa builders and distributors over the years and we would like to earn yours! Don’t let a problem with your pool or spa’s electrical system keep you out of the water on a hot summer day or warm and pleasant night! Lighting is also a critical feature of your backyard pool or spa. Underwater lighting creates an incomparable ambiance that makes nighttime more enjoyable for those in and out of the water! Pool and spa lighting is also a major safety component for keeping an eye on young ones and illuminating water feature locations after dark. Since pool and spa light fixtures are submerged, great care and expertise is required for a safe and reliable operation. Mistakes made due to inexperienced or poor quality installation can cost exponentially in the long run and pose possible fire and electrical shock hazards. At Penny Electric our experience ensures quality and all installations are guaranteed to meet applicable building and safety codes including compliance with manufacturer specifications.